Home / News / Body of missing Colorado woman found at husband's place of work. 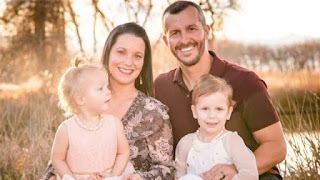 the pregnant colorado mom body recovered on thursday at chris watts work place. the mom was killed along with her young daughters. the children father accused of killing them all. Investigation authorities colorado bureau said they found body of 34 year old watts after three days reported missing. his body was found at her husband work place. John Camper, director for the Colorado Bureau of Investigation, said cops have strong reason to believe they know where the bodies of her two daughters, 3-year-old Celeste and 4-year-old Bella, may be and are trying to recover them. “This is absolutely the worst possible outcome that anyone could imagine,” he said. "As horrible as this outcome is, our role now is to do everything we can to determine exactly what occurred." Chris Watts, 33, has reportedly admitted to killing his wife and their two daughters. He is being held in the Weld County Jail on three counts of first-degree murder and three charges of tampering with physical evidence. He is due in court on Thursday afternoon.